Good evening everyone! I hope you all had a nice day. The weather here was bright and sunny when I got out of school, and I was loving every minute of it! Today at school I had to do a demonstration for the kids. We made soft pretzels, and it went pretty well. It can be hard when 25 students are staring silently at me as I knead the dough. 🙂 It definitely makes for some awkward silences as I still am uneasy about adding random thoughts or stories in, but it will get better! While at school today I took some time exploring recipes that I want the kids to try out in a few weeks for nutrition week. After school I stopped by the grocery store to pick up the necessary ingredients so that I could try them out at home. As I said, overall the recipes were okay, but there is definitely some altering that I would do the next time around. 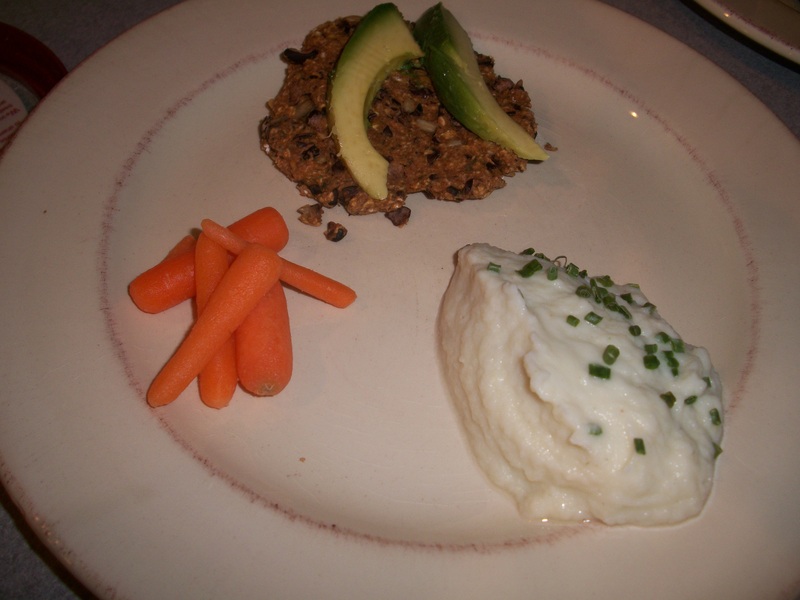 I did love putting the cauliflower mixture into the blender with milk in order to get it smooth and creamy. Take a look at all of the fun things that I got! 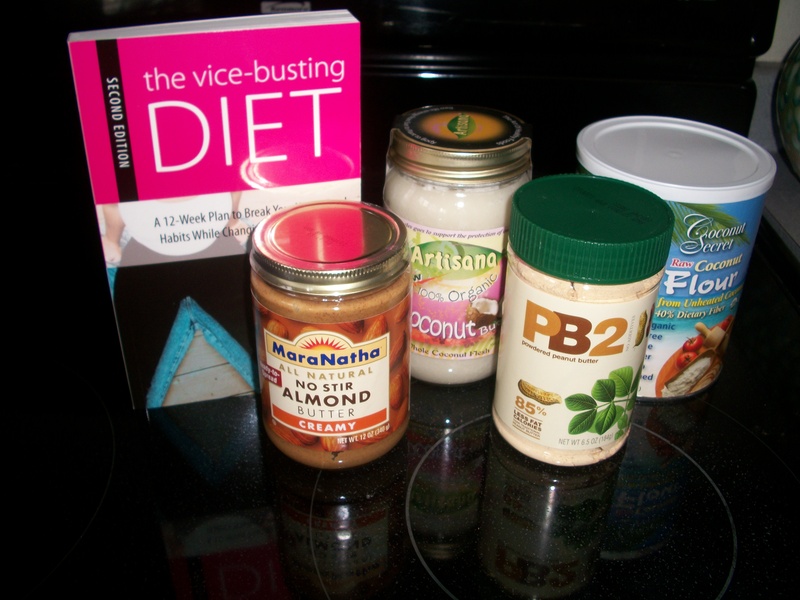 MaraNatha Almond Butter, Coconut Butter (which I have heard so many great things about), coconut flour, PB2 (new powdered peanut butter) and last but not least my sample item, ‘The Vice-Busting Diet.’ With every order at iherb, you are allowed to pick out one free sample. How could I resist a healthy eating book that is regularly priced around $20.00. I’ll have to let you all know how it is. Well it’s been a few months since I created my blog, and a lot has happened. One thing I know for sure is that I love the world of blogging. It’s something that I dive into on a daily basis to keep myself motivated while trying to lead a healthy lifes. Instead of being a passive reader, I feel as though I have valuable recipes, thoughts and inspirations to share with you all, so here I am again!!! Your support during this process is appreciated more than you know. I just began my first day of full-time student teaching at a local school. I will be at the school every day for the next 12 and a half weeks until school is out in June. I will be teaching a ‘Food for Teens’ class where we do a lot of cooking, and I will be teaching a ‘Teen Living Skills’ class, both of which are very fun. I will be sure to keep you updated as I go through this process. Tonight’s dinner was simple and delicious. My mom and I are trying to keep each other motivated by eating healthy and exercising on a daily basis. We grilled two chicken breasts on the stovetop and placed slices onto a bed of lettuce and spinach mixed together. We topped the salad with avocado, sunflower seeds, strawberries, chia seeds and Bolthouse Farms Tropical Mango dressing. This dressing is great… only 30 calories and 1.5 grams of fat. Besides, it was delicious to boot! Other than school and eating (which takes up most of my life), I have been working on the job search process quite a bit. It is overwhelming/scary/frustrating all at the same time. It’s so weird to not know where I will be living six months from now and where I will be teaching. All I know is that I’m ready to get to that point. I can’t wait to be with Korey EVERY day. Right now he works in North Dakota in the oil field. His schedule involves working for 2 weeks and then getting 1 week off at home with me. However, after a year of this schedule together, we are ready for it to end in a big way. Once I find a job, we will move, and he will search for something else in that area. We talk about it on a daily basis, and I can’t express how ready we are. 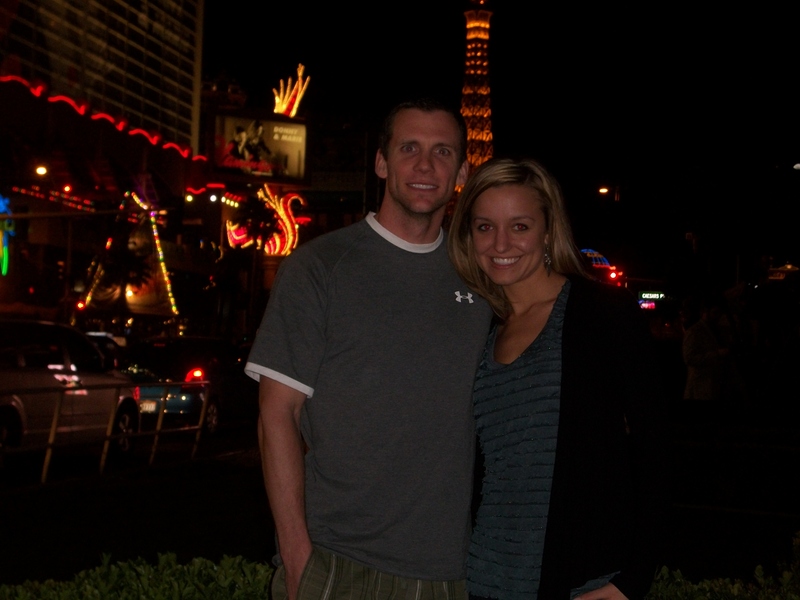 Below is a recap of our recent getaway in Vegas!!! I can’t believe the trip has already come and gone, but I had such a great time. It’s so wonderful spending time with someone who is so much like me. I can’t wait for more adventures together to come! Life is full of decisions…and I always try to make mine carefully because sometimes there’s no turning back. After graduating from college a few weeks ago and moving back home to live with my mom for the time being, I have found myself in an awkward transition phase. However, the problem is that I don’t know what I am transitioning to... I feel like I have so many ideas in my head that I just need to get down on paper before I truly make a decision. I majored in Health and Wellness with a minor in Family Social Science, and it was a great decision because those are all of the things that I am passionate about. I thought about becoming a teacher for Family Education, but that would have required another year at the University of Minnesota, and more time living and commuting in a big city, which is not what I wanted. So I made the decision to move home and either search for a job in Wisconsin or go on for my master’s degree. So here I am, sitting home alone on a beautiful, sunny summer day not knowing where my life is headed. This week has been a roller coaster already. My wonderful new boyfriend [more on that later :)] had to go back to work out west for 2 weeks, and I am here trying to figure out what I want to do with my life. Over the course of the past 3 months I had planned on going back to school for human resource management through an online program offered through Concordia University. However, as of two days ago, I had an epiphany and decided that wasn’t the right fit for me. Again, I know what my passions are….health, parenting, relationships and education. There has got to be something out there (rather than human resource management….what was I thinking?!) that is a better fit for me. After looking around Concordia’s website, I found a master’s program in Family Life Education. Perfect right?! After finding it, I have been looking into different career options/salaries/etc… given that I decide to go forward with that. Although money isn’t everything, it sure is something to take into account. I discussed the program and future options with my mom, and after getting the, “I support you no matter what you do,” statement, I knew I could do it. 🙂 I’ve contacted the school and have been asking questions just so that I have an idea in my mind of the program length, career options, cost, etc… In the meantime, I know that I can’t spend all day every day applying to schools and jobs, so what better way to spend my time then to start a blog!! I’m sure there are others in a situation similar to mine right now, and so why struggle alone, right? !